Bambi Lake is owned and operated by the Baptist State Convention of Michigan. It is 240 acres of beautiful woodlands with a 20-acre spring fed lake just outside of Roscommon, Michigan. Bambi Lake is open year-round, with camps and retreats for all ages. 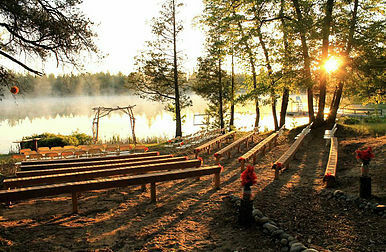 Bambi Lake hosts events for children, youth, college students, single adults, married adults, and families. There are also many different training events available for church leaders and teachers.